Director Wim Wenders is participating in the Norton Lectures on Cinema. 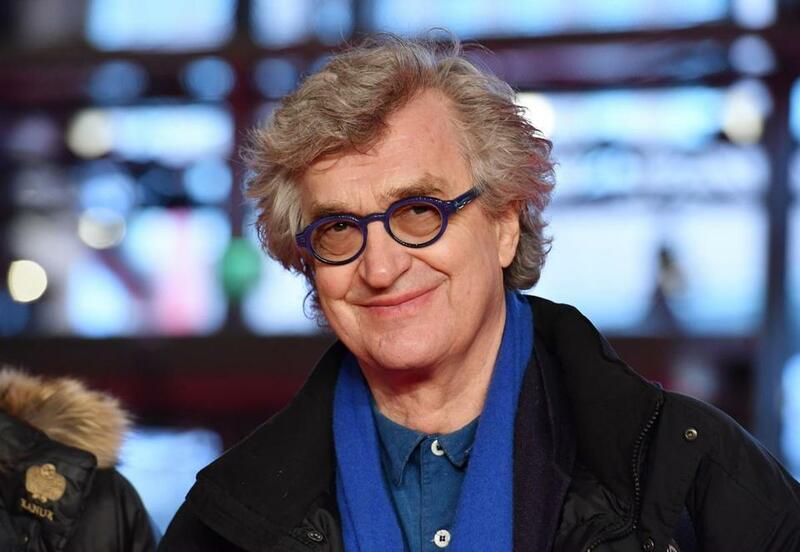 Wim Wenders, one of the world’s greatest living filmmakers, will present “Poetry in Motion,” the first of his presentations for Wide Angle: the Norton Lectures on Cinema, on Monday at 4 p.m. at Harvard’s Sanders Theatre. The second lecture, “The Visible and the Invisible,” takes place April 9 at the same place and time. Wenders follows Frederick Wiseman and Agnés Varda as the third filmmaker to participate in this prestigious series. The Harvard Film Archive will complement Wenders’s lectures with a retrospective of his films, including the documentaries “Reverse Angle” (1982) on Monday at 8 p.m., “Notebook on Cities and Clothes” (1989) on April 9 at 7 p.m., the Oscar-nominated “Buena Vista Social Club” (1999) on April 22 at 4 p.m., the Oscar-nominated “The Salt of the Earth” (2014) on April 22 at 7 p.m., and “A Trick of the Light” (1995) on April 29 at 7 p.m.
Not only is Wenders a brilliant filmmaker, he’s also an eloquent and thought-provoking commentator on the nature, role, and future of cinema. His appearances are an opportunity no film lover should miss. More information is at mahindrahumanities.fas.harvard.edu/content/norton-lectures and hcl.harvard.edu/hfa/films/2018marmay/wenders.html#state. Wednesday marks the 50th anniversary of the assassination of Martin Luther King Jr. His years after the triumph of the Voting Rights Act in 1965 are seldom discussed, but he once said that this was a time when his dream had “turned into a nightmare.” Peter Kunhardt’s documentary “King in the Wilderness” examines that period, when urban riots and the Black Panther movement challenged King’s philosophy of nonviolence, and the mounting tragedy of the war in Vietnam left him struggling for a response. Kunhardt combines interviews with King’s friends and allies, including Harry Belafonte, Joan Baez, and Andrew Young, with rare archival footage to shed light on a time when the civil rights icon and martyr endured painful disappointments and achieved hard-fought triumphs. “King in the Wilderness” can be seen on Monday at 8 p.m. on HBO and will also be available on HBO On Demand, HBO NOW, HBO GO, and partners’ streaming platforms. For more information go to www.hbo.com/documentaries/king-in-the-wilderness. The 17th annual Boston Turkish Film Festival will be presenting its Best Documentary Audience Award to Enver Arcak’s “Hermana.” It tells the story of an Anatolian Jewish community in Ankara that traces its history back to the second century. Drawing on the oral histories of current residents, the film celebrates a unique and vibrant culture. The Best Documentary Jury Award goes to Batuhan Kurt’s “The Border,” which focuses on the tragic plight of Syrian refugees in Turkey who gather at the town of Edirne on the border with Greece and desperately hope that they will be able to cross into Europe. “Hermana” and “The Border” can be seen on Sunday at 2 p.m. at the Museum of Fine Arts. For more information go to bit.ly/2GcOwmH. Olivier Wright’s ambitious docu-drama-essay “Ψ” (Psi) begins with a quote from “The Garden of Forking Paths,” Jorge Luis Borges’s story about the multiplicity of destinies and the enigma of choice. It’s a bold reference, but he works to earn it. The film features a subject also named Olivier Wright, who is first seen huddled, bearded, and clad in a bathrobe in an apartment littered with trash and empty bottles. As the voice-over narrator, a fictitious psychologist named “Natalie Forrester,” explains, Olivier has been paralyzed for years by his inability to decide what to do with his life. Should he be a lawyer or a filmmaker or something else? Instead, he has become a hermit resembling Howard Hughes. To help him, Forrest examines five alternative lives Olivier might have lived: a successful filmmaker married to an actress in Paris; a gay corporate lawyer living with his boyfriend in Helsinki; an NGO operative working for peace with his girlfriend in Jerusalem; a bartender in London; and an aspiring filmmaker who went to Los Angeles with big dreams and ended up on skid row. It sounds like an unwieldy premise, but Wright pulls it off, for the most part, with finesse, inventiveness, and technical skill. To supplement the “what if?” scenarios he includes interviews with a variety of scientists and philosophers, among them the cosmologist Max Tegmark from MIT, the philosopher and cognitive scientist Daniel Dennett from Tufts, and the economist and psychologist Barry Schwartz from UC Berkeley, who offer their thoughts on relevant topics such as physical determinism, the psychology of regret, quantum theory, and the notion of multiple universes. Like its fellow Greek-letter-titled cinematic anomaly, Darren Aronofsky’s 1998 “π” (Pi), Wright’s film is provocative, original, and beguiling. “Ψ” screens for free on Wednesday at 6 p.m. at MIT’s Stata Center in Cambridge. A discussion with the filmmaker, Dennett, and other experts interviewed in the film follows the screening.